Person of interest in custody for West Phila. fires. Katherine Scott reports during Action News Mornings on January 2, 2019. 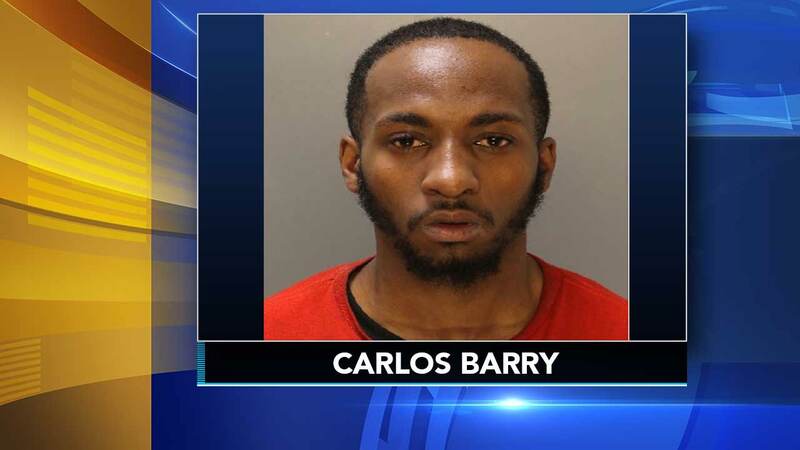 WEST PHILADELPHIA (WPVI) -- Investigators say they have a person of interest in custody in connection with a number of suspicious fires set within a two-hour time span early Wednesday morning in West Philadelphia. Police said Carlos Barry, 22, of the 5800 block of Hazel Avenue, was arrested and charged with several counts of arson and related offenses. It all started around midnight when a fire broke out on a porch of a home on the 5200 block of Spruce Street. The fire began outside on the porch and extended through the front window. Soon after, fire crews were called to a rubbish fire burning in trash cans on a porch on the 5100 block of Addison Street. A neighbor saw the flames and called 911. Shortly after that, a third fire was discovered on a porch on the 5100 block of Larchwood Avenue. Police say Barry was seen running from the home and was taken into custody. Mary Salter, a homeowner who has lived in her home since 1970, says her neighbor called 911. She says the neighbor woke up her and her daughter to alert them about the fire. "Terrified as I could be. I bust out and started crying. I can't believe people do that," Salter said. The fires were all discovered within 90 minutes of each other. At this time, there is no indication that Barry has any connection to the three properties.